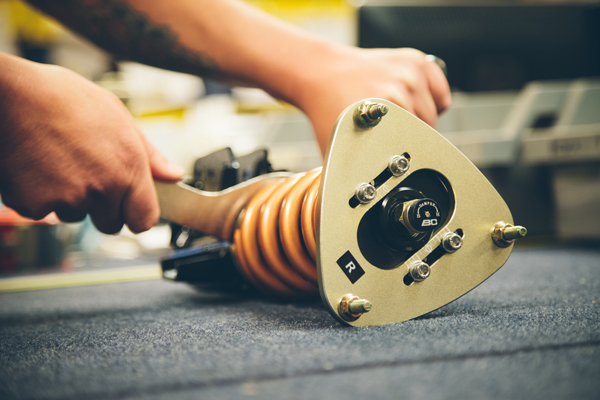 Our Swift Spring upgrade allows every coilover system to be completely customizable, with varying coil diameters, lengths, and spring rates for every conceivable application. These are competition linear-rate springs designed for street or competition use, and can be tailored to nearly any vehicle or purpose. We offer spring rate and valving customization options for every BC Racing kit, allowing you to choose the correct setup for your specific application. The linear spring rates are almost unlimited, and several different compression/rebound valving options are also available. BC Racing specializes in creating a custom tailored suspension to your specific needs. Whether installing a mild street kit, or designing a professional motorsport system, let us guide you down the correct path to suspension perfection. Of particular note is the unique Extreme Low kit. This is a special option that we offer for MOST (but not all) of our BR Type models, using a combination of shorter shock bodies and spring lengths to help maximize vehicle drop but still retain normal street drivability. For the ultimate in aggressive yet use-able stance, look no further than the BC Racing Extreme Low kit!